It was so sad to see that this rhino’s horn was not even that big. They would most probably not even be happy because all they care of is the horn & the money that the horn gives them. The wire was so thick that the bolt cutter could not cut through it. The tree was so clean of bark from where the animal had struggled to get loose from the snare, but only tangled itself more and pull the snare tighter. 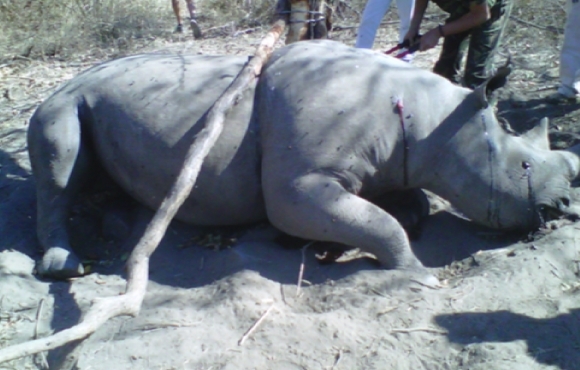 The snare was so badly imbedded that the skin of the rhino look like it was sanded down with sandpaper. A groove that was about 1cm deep and even the natural wrinkles of the rhino’s skin were no longer visible.